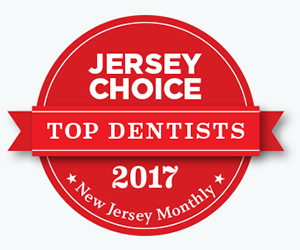 When you have a horrible toothache, tooth that has been knocked out, or an accident that traumatizes your teeth, you need to see an emergency dentist at Bagoff Dental Arts in West Orange, NJ stat. Often enough in these cases timing is of the greatest essence. If you wait too late you might loose your teeth or cause even more damage to your oral health. Here’s what you need to know about emergency dental services at Bagoff Dental Arts. If you knock out a tooth the first thing to do is keep that tooth in something moist. You can put the tooth in milk to help keep it moist. This method is approved by the American Dental Association. However, if you can put your tooth back into your mouth that is the best route. This way your tooth roots will be connected to the tooth, which can help keep the roots in your lost tooth alive. Contact the dentists at Bagoff Dental Arts as soon as possible to get your tooth put back into your gums. When is a Toothache Considered a Dental Emergency? If your toothache is causing you such pain that you cannot function this is a serious emergency. This could be a sign that you have an oral infection, which can lead to a toxic infection of the blood called sepsis. If left untreated sepsis is fatal. Therefore you want to get help as soon as possible via your emergency dental professionals in West Orange. How can I Relieve a Toothache While Waiting to Visit a West Orange Dentist? There are ways you may be able to relieve your pain prior to making it to the emergency dentist in West Orange. Start by rinsing your mouth with warm water. This will clean out any bacteria or debris causing you grief. Next use dental floss to get around your teeth. You may be able to dislodge debris that is giving you pain. Please do not use sharp objects to get out objects that are stuck in between your teeth. This can lead to greater damage. Also do not put a compress of aspirin or other pain medication directly onto your gums or teeth. This is not an effective way to use pain medication, which should be taken as directed on the packaging. Your best bet when it comes to dental emergencies is to have an emergency dentist on hand. We offer emergency dental services in West Orange at Bagoff Dental Arts. Contact our office today to schedule a dental exam so that you can become part of the Bagoff Dental Arts patient community.